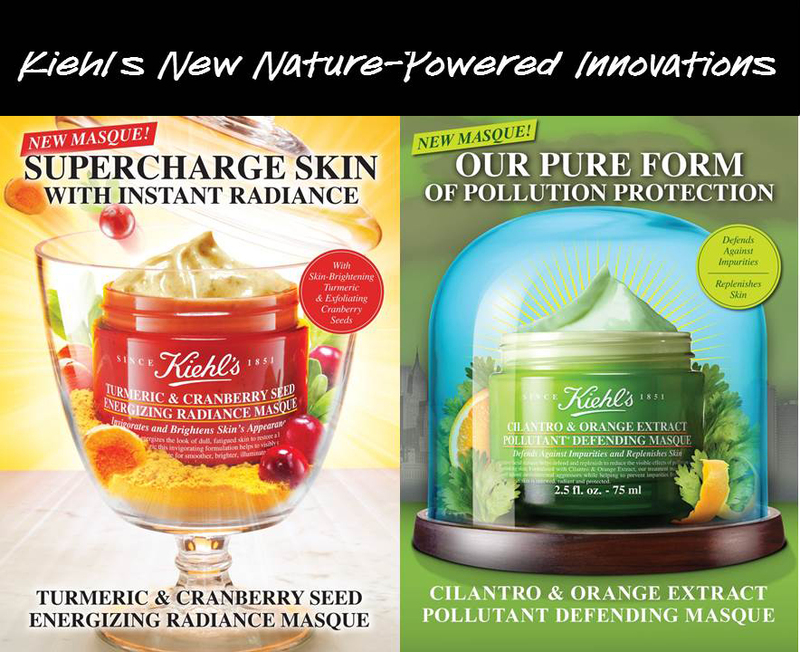 Enjoy Healthy Skin with Kiehl's New Nature-Powered Masques! Hello all! I'm so sorry I've been absent here, but just so you know - once again - I am VERY active on Dayre, so please head there and just follow me if you'd like! 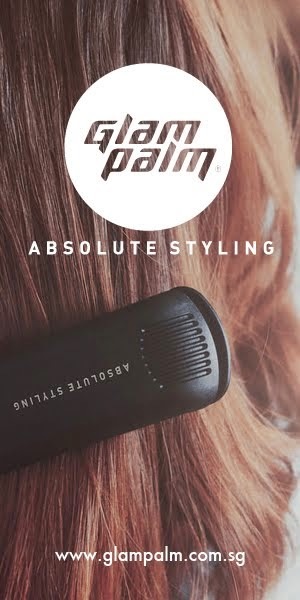 I've actually written about my preparation on looking good for Chinese New Year.. so you can read the posts by clicking: HAIRDO // SKIN // IPL. 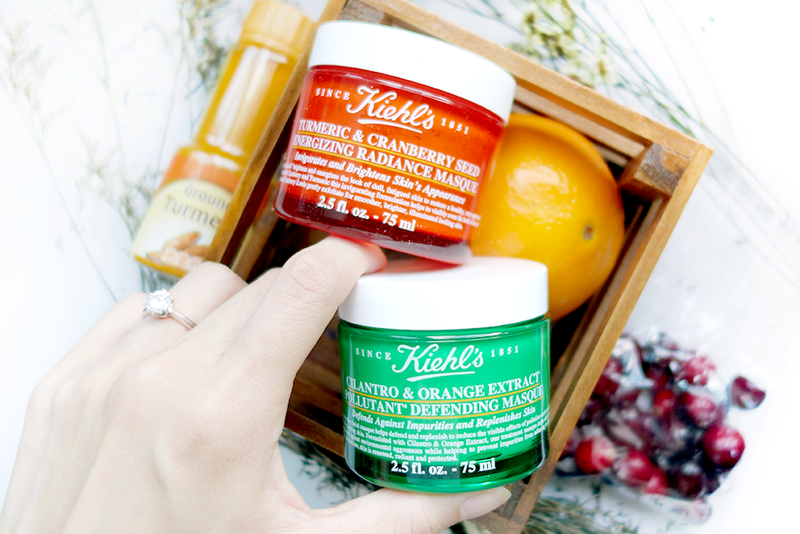 For now... let me focus on enjoying Kiehl's New Nature Powered-Masques! Because...... as almost everyone knows.. I'M ENGAGED!!! *Inserts emoji with the trumpet popper thing and lots of confetti*!!! When I was first sent this masque I was like HEY Turmeric! When I had a really bad cystic pimple on my chin last year, I read so many articles about how a turmeric mask would help in fighting the angry looking pimple by reducing the color and size due to its anti-bacterial properties. Sad to say, I tried it and my face got stained yellow.. zz.. and the pimple only looked less red and swollen probably because it was yellow too. Hard to tell. So I must say I'm very glad to have turmeric in a mask that I could ACTUALLY wash off! 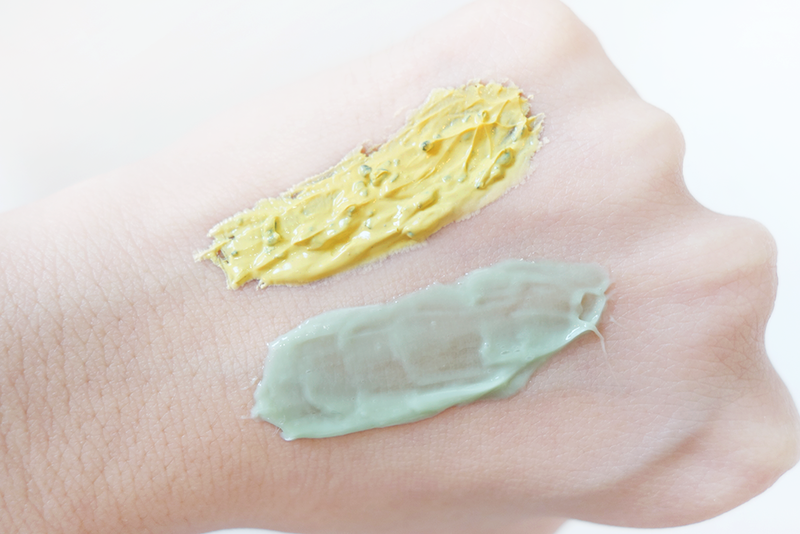 This Turmeric & Cranberry Seed Energizing Radiance Masque helps battle acne AND also increases radiance! It works as an "instant facial" that brightens and energizes the look of dull, fatigued skin to restore a healthy, rosy appearance. While turmeric lightens skin (which I guess, includes lightening scarring), the crushed cranberry seeds help to gently exfoliate for a smoother, illuminated complexion. In fact, in a consumer study, 92.3% of the people agreed that their skin felt refined IMMEDIATELY after using the product and 90.4% agreed their skin felt renewed! As we all know, there's tons of pollution in the atmosphere. Even though the skies are a lot less hazy now, it doesn't mean there aren't tons of microscopic floating crap in the air nonetheless. So yes, it's great to always get deep down into and restoring one's skin after a long day out with the Cilantro & Orange Extract Pollutant Defending Masque. This mask works hard at defending and replenishing skin to reduce the visible effects of pollution and stress (both indoors, like lights and computer glare, and outdoors, like secondhand smoke and fumes) while helping to prevent impurities from sticking to our skin. The mask triples up its protective and treatment power by fighting skin damage with anti-oxidant rich Bioflavonoid - Orange Extract by strengthening skin with a skin barrier, and Cilantro Seed Soil by shielding skin against harmful aggressors in the environment. Hate to make this sound the way it does... but a clinical test conducted in China for this product showed significant improvement in all skin attributes. So yes, I guess many now feel safer. Apply generously all over face, leave on for 5-10 minutes and wash off to a natural rosy glow. Recommended for use up to 3 times a week. I normally leave this for 5- 7 minutes depending on whether I feel my skin tingling or not. Apply a visible layer to skin, leave on for 5 minutes and tissue off. Pat in excess, leaving a thin protective layer on skin. 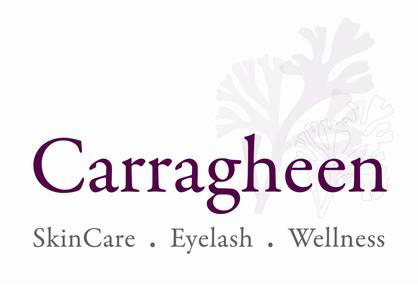 Allow it to work overnight and follow normal skin regimen in the morning. For this one, I deviate from the instructions a bit because there is Alpha Hydroxy Acid (AHA) within the product that can increase skin sensitivity to the sun and can even cause Sunburn; and as we all know, my skin is insanely sensitive as it is.. so I think I've been lucky so far because I always wash it off after 5 minutes with a cotton pad and clean it off with toner as well. I don't think it would serve anyone with dry sensitive skin like mine to leave it on the whole night. To be fair, my method has worked so far the past 3 times (hope I don't end up shooting myself in the foot by saying this), and so I will continue doing it this way. Here's how I use them both on pamper evenings. 8) Follow up with toner, serum, moisturizer and my FAVORITE ALOE VERA GEL! 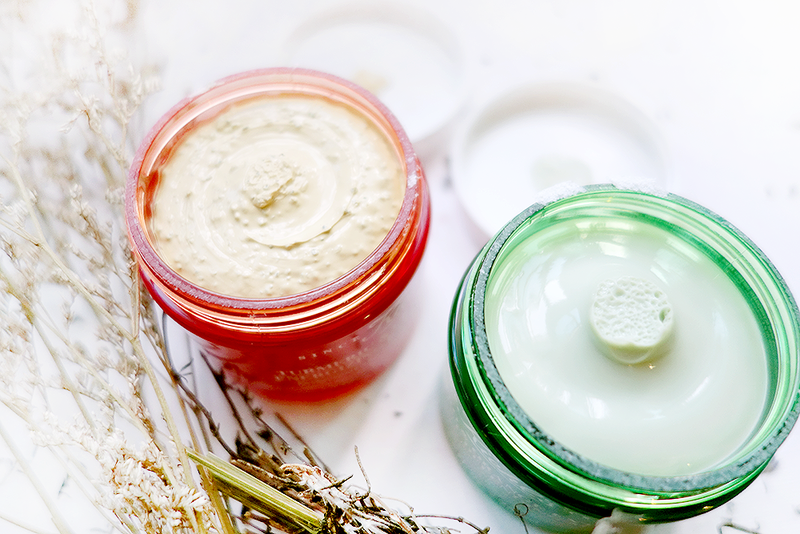 I prefer to stick to using The Turmeric & Cranberry Seed Energizing Radiance Masque no more than 2 times a week. If I can help it and if I think my skin looks fine during the week, then just once. I don't plan to aggravate my complexion in any way so close to Chinese New Year. Anyway, when I shower and everything REALLY comes off, like I have a proper rinse of everything, my cheeks only remain slightly pink, the kind you get when you look like you've just run, but they do not feel raw/painful/itchy in any way. My face feels smooth and looks brighter as well! As for the The Cilantro & Orange Extract Pollutant Defending Masque, I've got to admit I DID not notice that there was AHA inside it when I first used the product... and honestly did not feel tingly or anything from it.. It was very soothing. BUT THEN at the second time, I did feel parts of my face get warmer/tingly and so I went to read the bottle and was like ohhhhh that's why. And because I used it twice in that particular week already, I'm guessing my skin reacted by becoming very very very slightly itchy in my eyebrow area for 10 minutes.. thus, for this reason I would not say this product is hydrating where I became all dewy and moist... but I DID wake up to happy skin that was neither itchy nor dry. When I woke up, my complexion looked extremely balanced with smaller pores, and was way way smooth too. I think the best effect is achieved by using them together actually. So far, I've been told that I not only look glowing and fairer, but my boyfriend also used the term "plastic-skin" on me - an inside joke we use for people whose skin is so super smooth they look like they've got saran wrap plastic around their face. I finally earned the honor of being nicknamed "plastic-skin"!!!! So happy these 2 masks work so well with my current skincare woohoo! Hi Samantha, thanks for the write up, i have to try this urgently. My skin could do with some refreshment! Hi Samantha, great reviews.. It's really important what a product contains. If you are using a product and don't know what its actually have is really drastic for your skin. Nice post! Me too, so I'm so glad these worked out.